Perhaps I wouldn’t have written this blog had the circumstances been different. Last week was the second anniversary of my mother’s passing and Sunday was Father’s Day. Even though it’s also two years on, I’m still coming to terms with my father’s death and the discoveries I made about him after he died. So when an old school friend posted a photo of Goodmayes Hospital in a facebook group, I mentioned that I had been there for treatment. When prompted, I admitted that I had tried to commit suicide at the age of 18. This is not common knowledge – my wife is one of the few people who know the truth about this – but if revisiting this event will help someone else then this blog has a purpose. I have made mention in various other blogs of my childhood. It wasn’t a happy one. My frustrated father was physically abusive; my controlling mother, psychologically so. By the time I could have had a relationship with my older brother, he had left home. I spent some years being bullied at school on a daily basis. The result was an awkward youth with few social skills – I certainly didn’t know how to make friends or retain the few I had. That came much later. I was also prone to dark moods and outbursts of uncontrollable temper that continued until three years ago when I finally sought professional help. I didn’t start going to a youth club until I was 16 and a year later I had my first real girlfriend. Eight months on when her younger brother had his barmitzvah in June 1974, I was invited. What happened that evening is somewhat sketchy but a black mood came over me and I went home early. To understand what happened next, you have to try to put yourself in my shoes. I had few friends and I had just been a major source of embarrassment to my first girlfriend and her family. In that state of mind it’s not surprising that I’d had enough. With my mother, I’d hardly had a good role model for treasuring life. A few years earlier I’d hauled her out of a gas oven to save her; she suffered from depression and often spoke about taking pills to end it all. She remained that way throughout her life. After she died, I found a large stash of painkillers hidden at the back of a drawer. I remember mixing Veganin with red wine and trying to swallow it. It was so bitter that I retched. Instead, I swallowed the tube of painkillers, washed them down with the bottle of wine, laid down and passed out. Somehow I woke up next morning. I shouldn’t have. I’d overdosed on painkillers mixed with alcohol. I really shouldn’t have been alive. I remember how disappointed I was at waking up. When I got up, I couldn’t balance. It took many hours before I could. I must have spoken to my girlfriend about this because it got back to my parents. 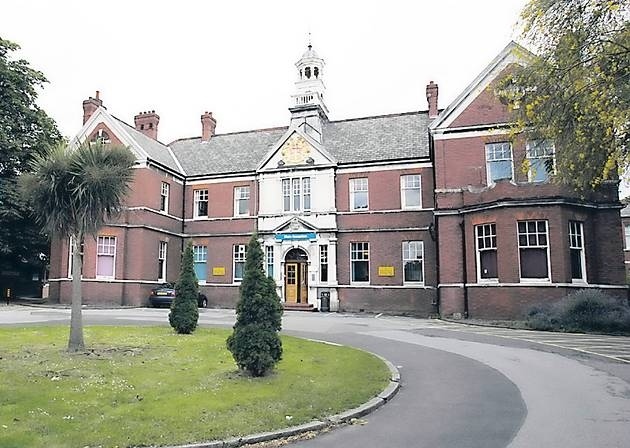 After seeing my GP, an appointment was made for me to be seen at Goodmayes Hospital, a mental hospital in Redbridge, and my father came with me to the first visit. I was intelligent enough to know that if I told the truth there was every likelihood I would be medicated or detained so I lied. I played down the events and said it was just a cry for help. Trust me, it wasn’t. After a second visit I was discharged. Over the years, depression has hit me so hard at times that I have fallen asleep praying that I wouldn’t wake up. I’m not sure to whom I would have been praying as I’m an atheist but perhaps that reinforces the mental turmoil and anguish I went through. It hasn’t always been like that. Having learned Reiki and meditation to counter the pain of being weaned off hormone replacement steroids 15 years ago, I tried to follow one of the five Reiki principles: “Just for today, I will not hold on to anger.” Sometimes I succeeded, often I didn’t. What finally drove me to seeking the help of a professional counsellor was a typically pointless argument with my son that I had instigated and the realisation that unless I did something I ran the risk of ruining one of the most important relationships in my life. And that was on the back of over 30 years with my wonderful wife who has put up with sheer hell from me at times. The three months I spent with the counsellor changed everything. She unpeeled my life like an onion, layer by layer, and got to the root of my continual anger. Although my parents both died within six months of the counselling, and I never really rebuilt my relationships with them, I bear no malice to either of them. My anger towards them has fully subsided. 1. Find a counsellor. It might take a few attempts to find the right one for you but it will certainly change your life for the better. 2. Apologise to those you’ve hurt. They will appreciate your honesty. 3. Reconcile your differences with those you love – before it’s too late.